disposal programs. At-home sharps injectors will now not only have access to a user-friendly informational resource and regulatory experts to help answer all their sharps-related questions, but they will also be able to responsibly and affordably dispose of their needles with new Safe Needle Disposal. Every year, approximately 9 million Americans throw their used needles in the trash or flush them down the toilet, due to two main problems: a lack of transparent and consistent federal regulations as well as poorly publicized disposal alternatives for at-home users. Unfortunately, this is a serious public health issue, since anyone who is punctured by an improperly disposed needle could potentially develop life-threatening bloodborne diseases such as Hepatitis B, Hepatitis C and HIV/AIDS. Through the partnership with Safe Needle Disposal, PureWay continues to stay true to its mission of protecting humans and the environment alike from the dangers associated with improper healthcare waste disposal. 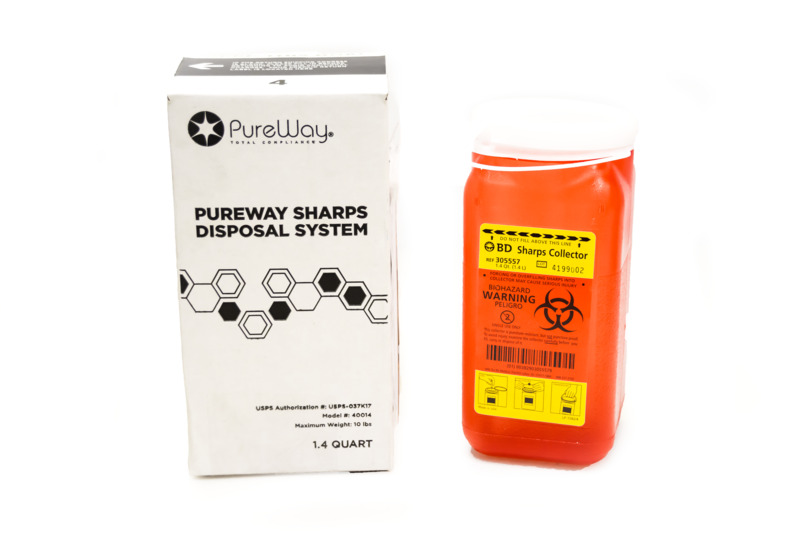 Sharps users can learn more or place an order by contacting PureWay toll-free at 877-765-3030 or online at http://www.PureWay.com.